Banana bread has always been one of those recipes that I make again and again. I've used several different recipes to make it through the years, and I'm always open to trying a new one. I usually put walnuts in it, but I'm sort of going through a pecan faze right now, so I was happy to find this recipe that included them. 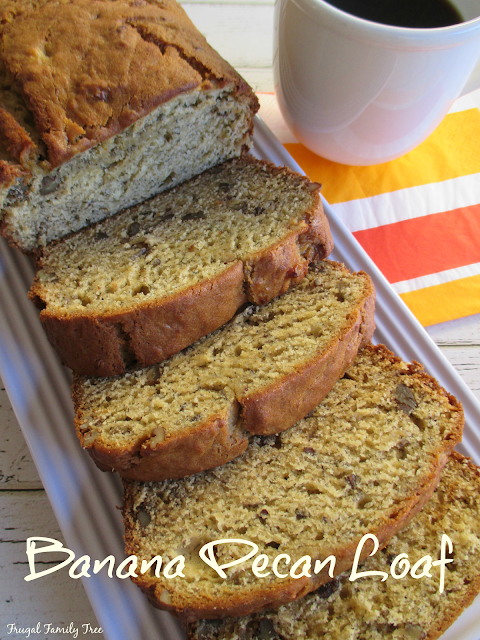 I found this new recipe for Banana Pecan Loaf in the latest edition of Taste of Home Fall Baking Magazine. The fall issue is always my favorite and inspires me to start thinking about the yummy and cozy treats I want to bake. Nothing says fall to me more than baking for my family when the weather turns cool and it's time to pull out our warm sweaters and jackets. 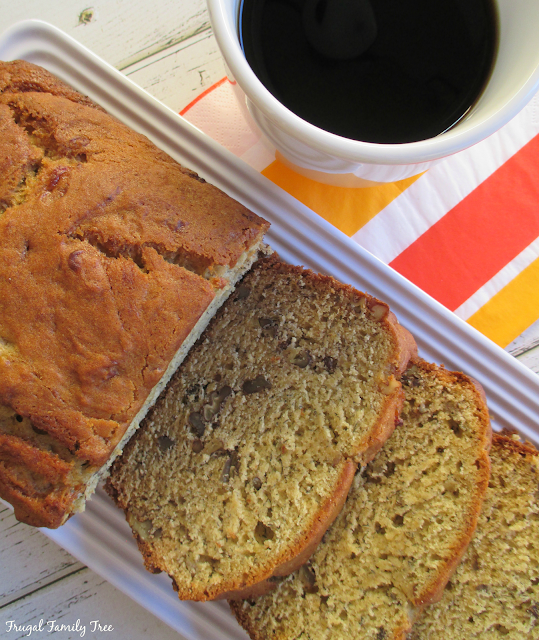 We always seem to have those bananas on the counter that turned brown because nobody ate them, so if that happens to you, it's the perfect time to make some banana bread. 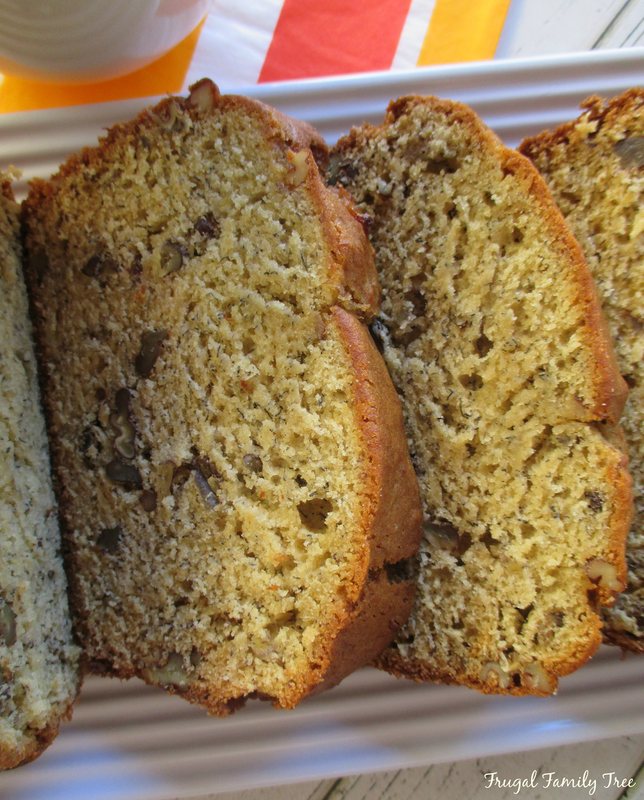 And if you have any leftover, I can't think of anything yummier than a slice warmed up and spread with butter. Perfect with an afternoon cup of tea or coffee. In a large bowl, cream butter and sugar until light and fluffy. Add eggs, one at a time, beating well after each addition. Beat in bananas. Combine the flour, baking powder, baking soda and salt, and add to creamed mixture. Fold in pecans. Transfer to a greased 9x5 inch loaf pan. Bake at 350 degrees for 50-60 minutes, or until a toothpick inserted near the center comes out clean. Cool for 10 minutes before removing from pan to a wire rack.